This sub-category is for information pertaining to the old boy’s team. 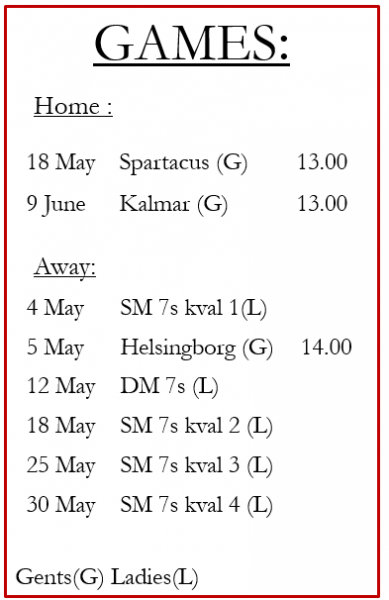 Hej All members of LUGI Rugby Club! Thank you for a long but very valuable Annual General Meeting. During the meeting we also voted on the membership fees for 2013. Beginners will now need to pay 500 SEK to try out for rugby for 2 months. The membership fee should be paid at the latest on May 1. Please pay it as soon as possible. We have a no pay no play policy. Becoming a member will also allow you to participate in any of our club events. Membership fee can be paid to our Postgiro bank account: 797887-7. This can also be paid in cash to your team manager. Mia-Maria will also try to be down to training and take payments directly. She will let you know when she can do that. Player who began since January 2013 and have not paid membership should pay a full year or full half year membership. This will cover the last month of training as well. Members who paid full year membership fee during the autumn should pay their next membership fee in July/August 2013. Looking forward to another year with lots of rugby and fun! This entry was posted in Management, Men's Team, Old Boys, Ungdomar, Women's Team on March 22, 2013 by Jim. Som forsättning av firandet av LUGI RUgby Klubbs 40-årsjubileum håller Stefan Landgren en OLd Boys Turnering den 15 September på Centrala IP. Samling kl 14 och sedan spelas matcher mellan 15.00 och 17.00. Efter turneringen kommer det finnas mat och dryck och härligt umgänge för alla deltagare. Avgift för turneringen är 100kr. Allt överskott för mat och lotteri kommer gå till Cancerfonden. Skicka ett maill till Stefan Landgren för att anmäla er till turneringen : st.landgren@telia.com. In continuation of our 40th Jubilee celebrations, Stefan Lundgren will be hosting an Old Boys tournament on September 15th at Centrala IP. Join us at 2pm for a games between 3pm and 5pm. Afterwards there will of course be food and drinks and good times to be had by all. The cost of attendance is 100 Skr. All profits from the food and raffle will go to cancerfonden. Please register your interest with Stefan Landgren: st.landgren@telia.com. This entry was posted in Festivities, News, Old Boys on August 12, 2012 by Jim. 40th Anniversary: Register online now! 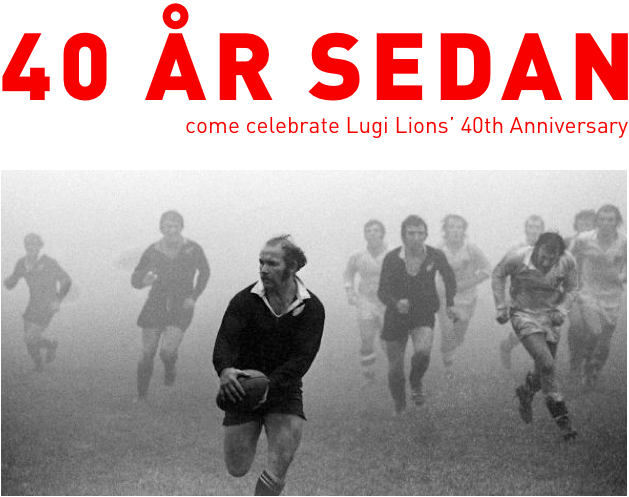 Welcome to the 40th Anniversary of The Lugi Lions Rugby Club. Everyone who has been part of the club during the last 40 years is invited to celebrate with us, LUGI style! The official tournament, dinner and after party will be held on the 30th of June 2012. The Lugi Lions Rugby Club was founded in 1972 by 3 friends, John Nash, Perry Hadley and Calle Erlandsson. Since then many men and women who have passed through the club. We hope to see as many of you as possible return to the club to join us for this special celebration. 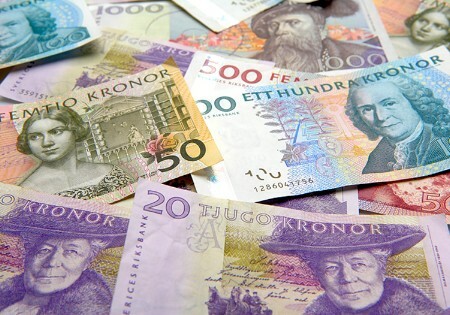 The cost of the anniversary tournament and dinner will be 500 sek/person. This will include a tournament entrance fee and a three-course dinner in the evening. If you have special dietary needs, please let us know during your registration. If you do not wish to attend the dinner, the cost will be 400 sek less. The tournament will at the very least include four teams: one swedish-only team, one team of mixed internationals, one women’s team and one old boys’ team. When you send in your registration, please let us know which team you are interested in playing with. We hope that there will be players from different countries who will wish to organise and enter their own team into the tournament. If you want to submit an entire team, let us know well in advance so we can make sure the day runs smoothly. 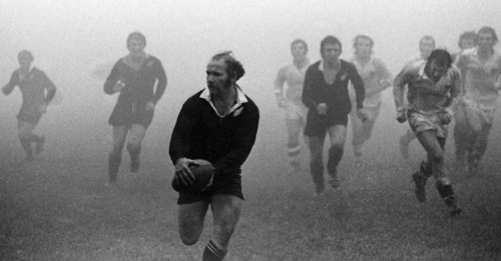 The exact structure of the day’s rugby will depend on the number of people who register. The clubhouse will be open all day for registered guests who are interested in only coming down for the rugby. Food and beer will of course be available. Please register online at: lugirugby.com/register40. This entry was posted in Festivities, Management, Men's Team, News, Old Boys, Women's Team on February 29, 2012 by admin.